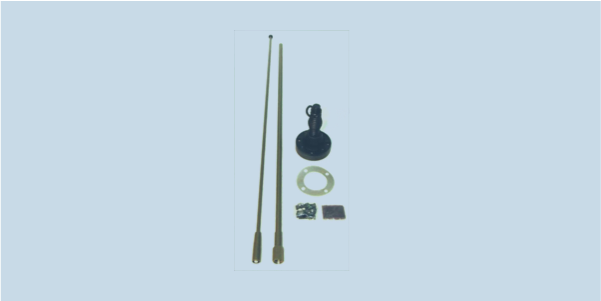 AD-18/CF-3108 is an omni-directional, center-fed, vertically polarized dipole antenna for mobile military band communications needing moderate power handling. The AD-18/CF-3108 antenna covers 30-108 MHz with 100 W CW power handling and is composed of three main parts: antenna base, lower and upper radiating element. Each radiating section is made of composite materials for outstanding strength and roughness.